Add stock to a large soup pot and bring to a rolling simmer over medium heat. 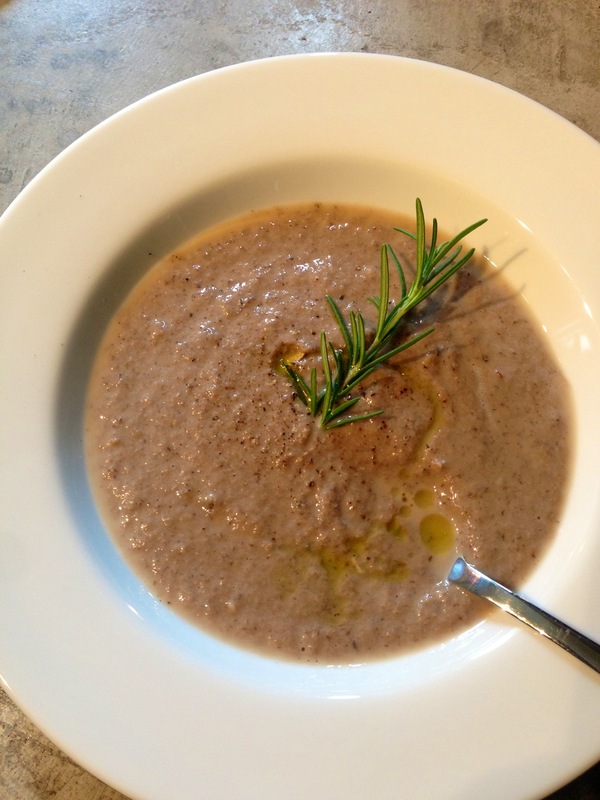 Slice mushrooms in a food processor (or rough chop); it doesn’t much matter since you’ll be pureeing this soup anyway. Add those to the stock. Slice the shallot; throw that in the pot. Add the thyme, brandy, salt and pepper into the pot and let simmer for 20 minutes. Turn off heat. Puree using an stick blender or regular blender. 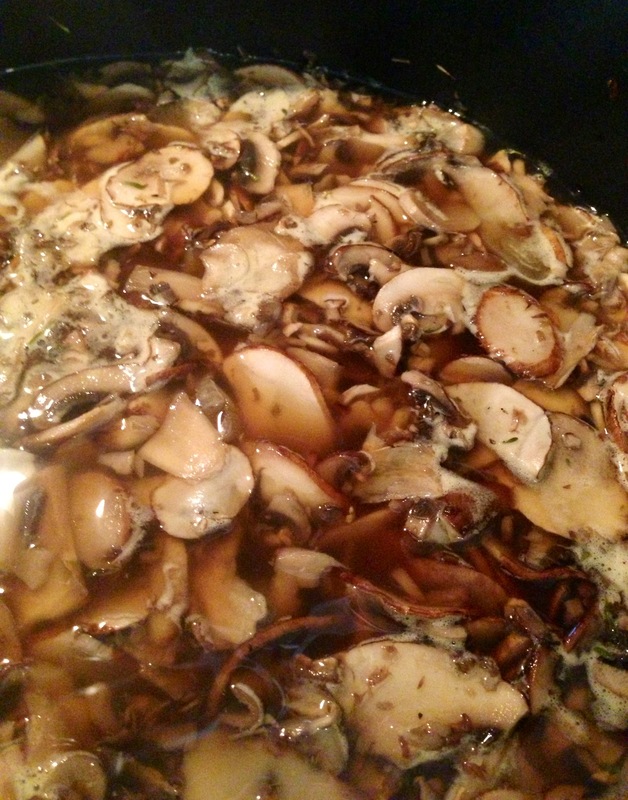 Put back on stove over low heat; add chunks of cream cheese and remaining chopped mushrooms. Simmer on low for 10 more minutes stir until cream cheese melts completely into the soup. Re-season with salt and pepper, if needed. Great drizzled with olive oil and cracked black pepper, or even topped with homemade croutons (recipe can be found here: SPICY GARLIC CROUTONS). Enjoy!